Tommy Flowers is a Graphcore hero - we think he's one of the most important people in modern computing. We named our IPU software stack Poplar®, after the east-end of London district where Tommy Flowers was born, and we named our first IPU processor Colossus™ after the world’s very first electronic computer which he and his team created in 1943. Tommy Flowers was born in Poplar on 22nd December 1905. He became a mechanical engineering apprentice at the Royal Arsenal in Woolwich and went on to earn a degree in electrical engineering from the University of London. In 1930 he joined the General Post Office in their research centre at Dollis Hill in north London, where he worked on telephone switching equipment. In 1935 he started working on valve-based switching systems and he became convinced that an all-electronic system was possible. In 1941 Flowers was introduced to Alan Turing who was working at the Bletchley Park codebreaking centre and was building an electro-mechanical system called the Bombe. The Bombe was being used to help decipher the complex Enigma codes. 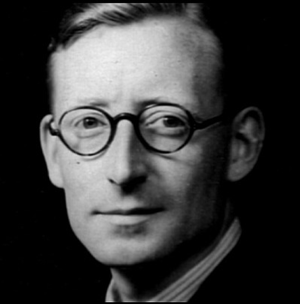 Later Turing introduced Flowers to Max Newman who by 1943 was leading an effort to build a machine to help decipher the even more complex Lorenz machine cyphers. In November 1943 the first system was running at Dollis Hill, just 11 months after work had started. 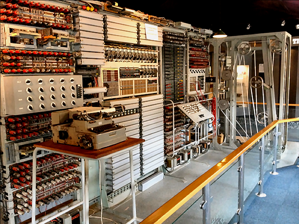 In January 1944 the system was delivered to Bletchley Park and was instantly named ‘Colossus’ by the Bletchley Park staff because of its enormous size. 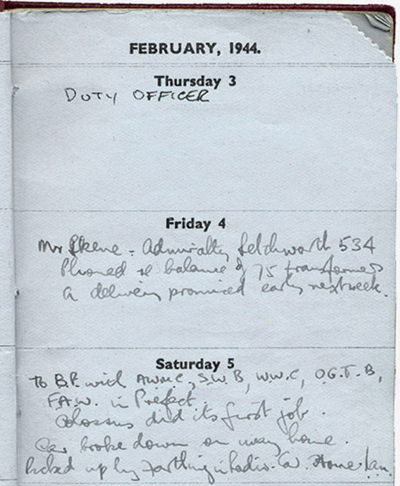 On Saturday February 5th 1944, Tommy Flowers wrote in his diary, "Colossus did its first job. Car broke down on the way home." Colossus proved to be quick and efficient against the twelve-rotor Lorenz cipher machine. Anticipating the need for more machines Tommy Flowers was already working on the Colossus Mark II computer. This new machine used 2,400 valves and went into service on 1st June 1944. In all 10 Colossus machines were delivered and these were set up in a series of purpose-built buildings at Bletchley Park which were the precursors to today’s cloud data centres. The systems proved in-valuable. After the war ended, the Colossus computer machines were dismantled but two were moved and installed in a new facility at GCHQ Cheltenham where they continued to be used for code breaking and later for staff training. The Colossus computer proved to be extremely flexible. The design included a simple form of memory, using serial registers built with valves and the system was programmable through a plug board panel. Not only was Colossus the world’s first all-electronic computer, it is also the world’s first programmable computer system. The project remained classified for over 30-years and the existence of the machine and the incredibly breakthroughs that Tommy Flowers and his team achieved were not revealed until the mid-1970s. A fully functioning Colossus Mark II computer was rebuilt between 1993 and 2008 by a team of volunteers led by Tony Sales and this machine is on display at The National Museum of Computing at Bletchley Park housed in the original building where Colossus was first installed. Tommy Flowers died in 1998 aged 92, leaving a wife and two sons. Flowers was able to see how the new electronics technology that he had been researching for use in telephone exchanges could be applied to this fundamentally new and vitally urgent workload - code breaking. In so doing, he stepped beyond the age of electro-mechanical computing to usher in the age of fully-electronic computers. Today the underlying computations of intelligence are also a new and urgent workload. This new workload also requires new hardware. 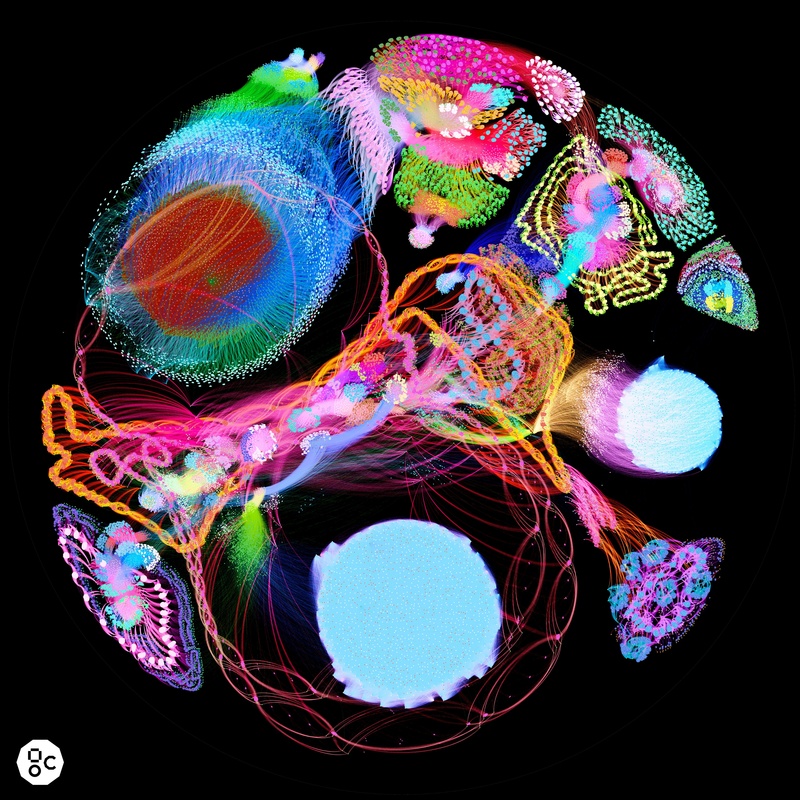 Graphcore set out to build a new intelligent computing architecture which steps beyond the era of computers that need to be told what to do step-by-step in a program, to machines that can learn from data. 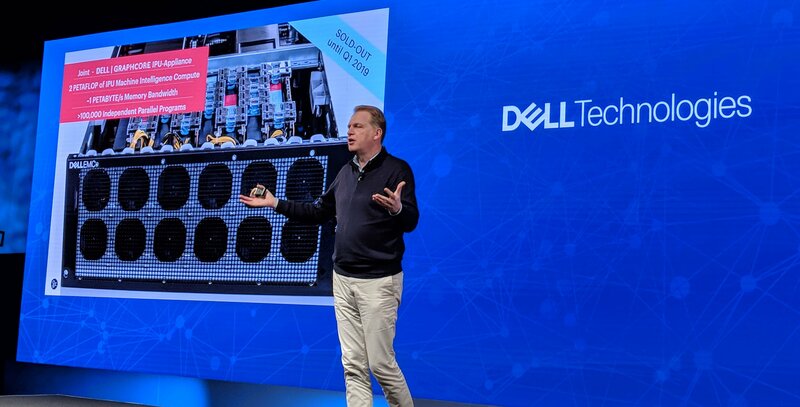 Like Tommy Flowers, we inherit an amazing set of base technologies including the toolkit of modern silicon and software engineering and we have applied these to solve this new problem. In homage to a truly great engineer, we have named our first IPU machine 'Colossus'.